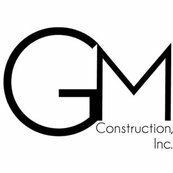 One Review for GM Construction, Inc.
Beautiful Work !!!! I was a contractor in Michigan and North Carolina. I did custom woodworking on my projects. Came into it from antique furniture and love seeing homes being built. I hopefully will be moving to Costa Rica sometime in 2015 to manage development projects for someone I know. I physically can't do it anymore. Love your Kanae lot 1 project. I'd love to have that built for me in a couple of years in Costa Rica, sitting and watching sunsets over the Pacific !! !